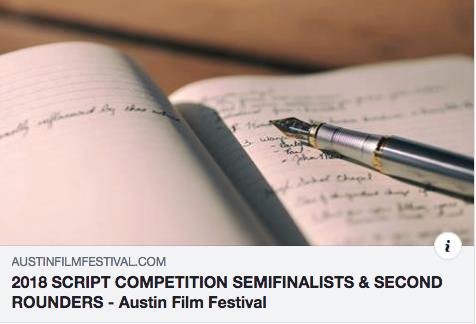 I am thrilled to say that my TV pilot ‘Avalon’ has advanced to the quarterfinals in the ScreenCraft Screenwriting Fellowship 2019. ‘Avalon’ is a political drama based on the true story of Nazi leader Rudolph Hess's mysterious flight to Britain in search of peace. 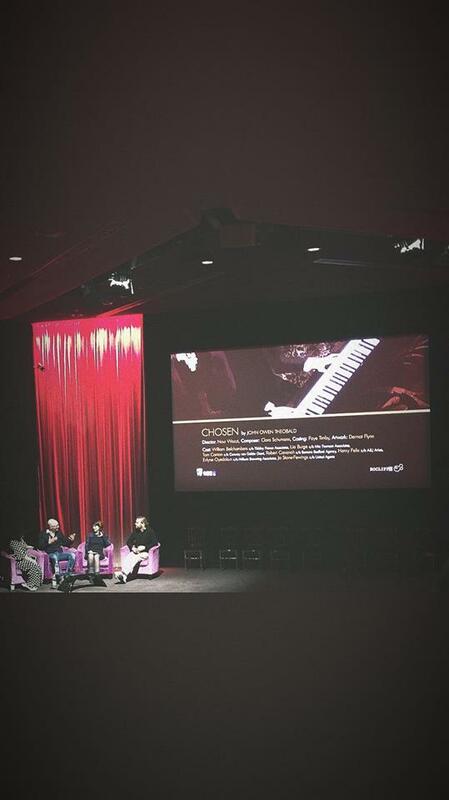 Amazing night at BAFTA - huge thanks to director Nour Wazzi and all the brilliant actors who performed an excerpt from ‘Chosen’ - plus a Q&A with screenwriters Moira Buffini (Jane Eyre, Tamara Drewe) and Matt Greenhalgh (Control, Film Stars Don’t Die in Liverpool). Come and see a performance from my feature screenplay ‘Chosen’ on Dec 3rd at BAFTA. Writers Matt Greenhalgh (Control, Film Stars Don’t Die in Liverpool) and Moira Buffini (Jane Eyre, Tamara Drewe) will critique the three performances and offer insight into their own work. For more info and tickets, visit here. I am thrilled to say that I’m a BAFTA Rocliffe winner! My feature script ‘Chosen’, exploring the scandalous love affair between Clara Schumann and Johannes Brahms, won the 2018 screenplay competition. 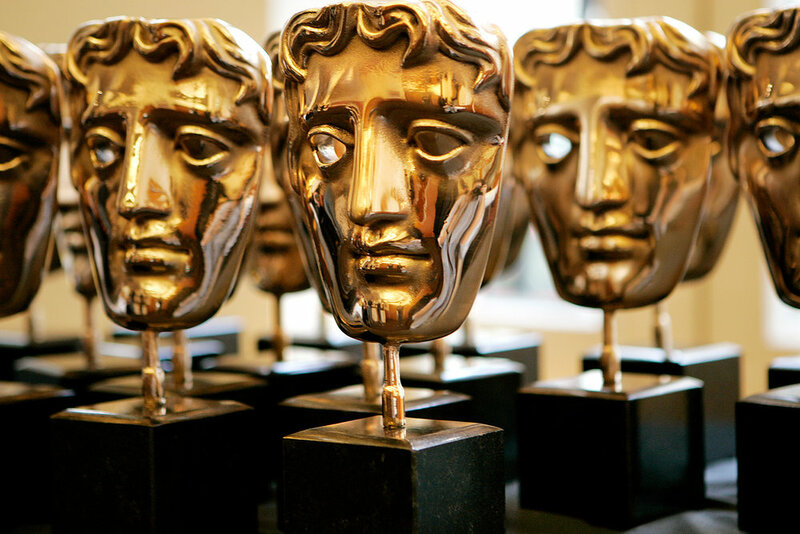 An excerpt from the screenplay will be performed on Dec 3rd at BAFTA - more info here. My TV pilot 'Avalon', a political drama based on the true story of Nazi leader Rudolph Hess's mysterious flight to Britain in search of peace, is a finalist at the Austin Film Festival 2018. Thrilled to say that Gordon Askew has named A Kingdom Falls to his Books of the Year 2017, in some very impressive company. Mr Askew is a tireless promoter of literature for young people, and was awarded an MBE for his dedication. His site is packed with intelligent, in-depth, and generous reviews for children's, MG, and YA novels, and I urge you to check it out. His detailed review of the the entire Ravenmaster Trilogy is here. Very excited to announce that 'Wishin' and Hopin', a short film I wrote with director Jacqueline Pepall, has been selected for BFI Flare 2018. BFI Flare is an amazing, BAFTA-qualifying festival, and it is a huge honour to be a part of it. For info on the festival and screening times, please visit here. Thrilled to say that 'The Hotel Affair' is an Official Selection of the London Short Film Festival 2018! 'Chosen' is a feature film script exploring the love triangle between Johannes Brahms and Clara and Robert Schumann. Signing copies of 'What the Raven Brings' at Indigo Chapters in Saint John, New Brunswick. What the Raven Brings-inspired marmalade! Check out their instagram page for more great book-inspired recipes. To celebrate the paperback release of 'What the Raven Brings,' I will be signing books from 1-3pm on Saturday, August 5th. The book launch for the CAN/US paperback of 'What the Raven Brings' will be held at Ben McNally's in Toronto, on August 10th, 6pm-8pm. Come one, come all! I set out to write the origin story of a supernatural legend, and went on to write about something very real but no less amazing: the courage and strength of women in wartime. When I first heard the legend, ‘if the ravens leave the Tower of London, Britain will fall,’ I wanted to know where it came from. It turns out no one knows. Although the legend has been credited to everyone from Charles II to the Victorians, the first record of it isn’t until the 1950s. So I wanted to write the origin story of this unexplained legend. The Tower is a place of many superstitions, but this one – ‘Britain will fall’ – seemed to have its roots in war. The Blitz was Britain’s darkest hour, so I imagined this was the best time for a legend like this to take hold. It is easy to envision the people living in the Tower clinging to this belief, especially as the Blitz intensified and the ravens died, one by one, from starvation or bombing. In These Dark Wings, the legend originates as a protective charm, as a sick old man, the first Ravenmaster, tells his terrified niece not to fear the Blitz: all she has to do is look after the ravens. They will keep Britain safe. So my character, Anna Cooper, a 12 year-old orphaned by the Blitz and sent to live at the Tower, ensures the survival of the legend. In Book 2, What the Raven Brings, the war rages on and Anna (now 15) yearns to escape the Tower and join the war effort. She bluffs her way into the glamorous – and hazardous – world of the Women’s Auxiliary Airforce. The ‘Attagirls,’ as they were called, piloted all kinds of aircraft, collecting Lancaster bombers from factories and delivering them to aerodromes, bringing Spitfires to airfields to be tested and armed, and taxiing pilots to Fighter Command in transport planes. On top of the rigorous training involved, Anna has an additional problem. Fighting to earn her wings and prove herself, obstacles emerge from an unexpected source: men of the RAF who believe women have no place in the skies. Because women were deemed unsuitable to be trained on the instrument panel (life-saving in bad weather), or the radio transmitter (life-saving when needing to check in with an RAF station), and since they were banned from flying planes fitted with weapons (life-saving during a run-in with a Luftwaffe raid), female pilots had the dangerously absurd job of flying the aircraft blind, deaf, and without weapons. And in Anna’s case, direct sabotage seems a chilling possibility. The legend of the Tower ravens protects Anna in These Dark Wings, but in What the Raven Brings she has to learn to protect herself and those around her. Anna was originally inspired by my grandmother, who lived in London throughout the war. I grew up listening to her stories about it all – the fear and sadness, but also the excitement and the mischief. For Book 2, I took inspiration from my other grandmother, who was a member of the Royal Canadian Air Force, and one of the toughest people I ever knew. The stories of my grandmothers convinced me to try and pass on their fighting spirits with these novels, which have become a celebration of all kinds of strong women in wartime. 'What the Raven Brings' is now available in paperback (UK)!